CONCORD, N.C. — The popular Home and Garden Television Network (HGTV) axed an upcoming house-flipping reality show on Wednesday following the release of an article from a liberal organization that decried one of the hosts for his outspoken Christian beliefs and activism. 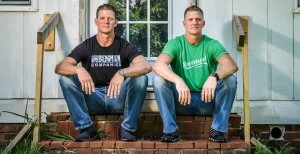 David and Jason Benham, twin brothers from North Carolina, were set to air their benevolent remodeling show Flip It Forward this fall on the network. The Benhams, both former major league baseball players turned business entrepreneurs, focused their broadcast on making dreams come true for those who thought they could never afford a home. But on Tuesday, Right Wing Watch, a project of People for the American Way, released an article decrying David Benham as an “anti-gay, anti-choice extremist.” It noted that the Benham brothers are the sons of Flip Benham, the director of the pro-life group Operation Save America, and that David led the Charlotte 7:14 prayer rally in 2012 outside of the Democratic National Convention. Benham, who is the founder of Cities4Life with his wife Lori, was also denounced by Right Wing Watch for being involved in sidewalk ministry outside of area abortion facilities. The organization likewise quoted from Benham surrounding his beliefs in biblical marriage and his support of North Carolina’s constitutional marriage amendment. David and Jason Benham also published a statement of their own on Wednesday, expressing disappointment in HGTV’s decision, while unashamedly reinforcing their Christian faith. “If our faith costs us a television show, then so be it,” the Benham’s said. The Benhams are continuing to film Flip it Forward despite the decision with the hopes that another network might pick up on the series. Editor’s Note: Those who wish to express support for David and Jason Benham may click here to sign the “Flip This Decision” petition launched by the group Faith Driven Consumer.